The Kresge Foundation is a national philanthropy with deep roots in Detroit. The foundation supports nonprofit organizations across the United States, assisting with work to create access and opportunity for underserved communities, improve the health of low-income people, support artistic expression, increase college achievement, and address climate change. The foundation’s Detroit Program focuses on Kresge’s hometown. Using a comprehensive framework, Kresge’s Detroit Program invests in efforts to foster long-term economic opportunity that advances social equity, promotes cultural expression, and re-establishes the city as the center of a vibrant region. Kresge Arts in Detroit is part of that program. In addition to providing grant support to arts and cultural organizations in greater Detroit, the Foundation funds the Kresge Eminent Artist Award and Kresge Artist Fellowships. Together with other efforts that incorporate arts and culture into community revitalization, Kresge believes that support for and recognition of the arts enriches the quality of life in southeastern Michigan and promotes innovation and vitality. 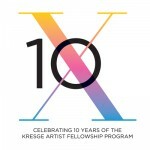 The Kresge Eminent Artist Award and fellowships are administered by the College for Creative Studies. Other support comes directly from Kresge. The foundation’s also funds Arts & Culture, Education, Environment, Health and Human Services nationwide through grantmaking and social investing. In 2015, the Board of Trustees In 2015, Kresge’s Board of Trustees approved grants and social investment commitments totaling $145.5 million. The foundation’s other program areas include a national Arts and Culture program, Community Development, Education, the Environment, Health, and Human Services. In 2013, the Board of Trustees approved 316 awards totaling $122 million; $128 million was paid out to grantees over the course of the year. The College for Creative Studies (CCS), located in the heart of Detroit, educates artists and designers to be leaders in the creative professions. A private, fully accredited college, CCS enrolls more than 1,400 students pursuing Bachelor of Fine Arts (BFA) and Master of Fine Arts (MFA) degrees. Students in the BFA program can major in Advertising, Copywriting, Advertising Design, Communication Design, Crafts, Entertainment Arts, Fashion Accessories Design, Fine Arts, Illustration, Interior Design, Photography, Product Design, and Transportation Design, in addition to a dual major Art Education program. Students in the MFA program can major in Color and Materials Design, Interaction Design, Integrated Design, and Transportation Design. The College also offers non-credit courses in the visual arts through its Continuing and Precollege Studies programs and opportunities for youth through its Community Arts Partnerships programs. Creative Many Michigan designs and delivers a series of professional practice and engagement opportunities for the artists awarded the Kresge Artist Fellowships. The program features individual meetings with Creative Many staff, a kick-off Creative Capital retreat, group workshops and presenter brunches, alumni-led events, and validation services – including review of applications and proposals, letters of support, and fee waiver for their Lawyers for the Creative Economy referral program. Since 2008, the program has brought over 197 esteemed arts professionals to Detroit to work with fellows and the wider creative community. Creative Many advances the creative industries for a strong and resilient Michigan. Headquartered in Detroit with offices in Lansing and Grand Rapids, they work with local partners across sectors to maximize the power of Michigan’s creative many for the strength of our state. They empower and invest in creative people and industries, connecting them with resources, networks and opportunities to develop their practice, influence and the creative economy.